(P1) You won’t be hearing, or likely seeing, Lady Gaga in China anytime soon. 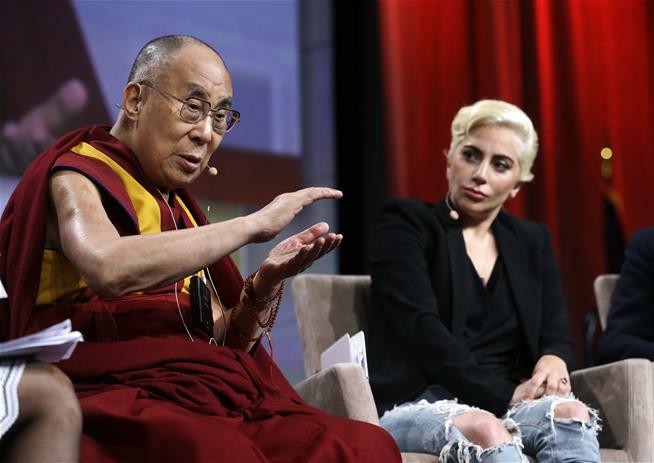 After the singer met with the Dalai Lama on Sunday to talk meditation and mental health, the Communist Party’s propaganda department ordered her songs banned in China, while state-controlled media were ordered to condemn the meeting, reports the Guardian. A government rep suggests he’s never heard of the singer, whom the BBC describes “one of, if not the most, popular Western musician in mainland China”, but says the Dalai Lama was trying to promote Tibetan independence, per the AP. In your opinion, do you think China should have banned Lady Gaga? Why or why not? Which type of music do you like? Why? Is there a lot of propaganda in your country? If so, explain. Who did Lady Gaga have a conversation with? Which topics were discussed in the meeting?